Naturopathic doctors (NDs) are primary care physicians clinically trained in natural therapeutics and whose philosophy is derived in part from a Hippocratic teaching more than 2000 years old: Vis mediatrix naturae – nature is the healer of all diseases. Their practice is based on the same basic bio-medical science foundation that allopathic practice is; however, their philosophies and approaches differ considerably from their conventional counterparts. Naturopathic doctors diagnose disease and treat patients by using natural modalities such as physical manipulation, clinical nutrition, herbal medicine, homeopathy, counseling, acupuncture, and hydrotherapy, among others. They choose treatment based on the individual patient, not based on the generality of symptoms. This approach has proven successful in treating both chronic and acute conditions. The use of plant medicine is core to Naturopathic practice and is therefore commonly prescribed. Botanical medicines are used in both traditional herbal formulations and as phytomedicines, which are scientifically researched and formulated. A resurgence of scientific research in Europe and Asia is demonstrating that some plant substances are superior to synthetic drugs in clinical situations. The art of touch, massage, physical therapy, and spinal manipulation are the basic tools of Naturopathic Manipulative Therapy (NMT) for chronic disease, and neck, back, sports, and motor vehicle injuries. The “tone” of a physician’s touch is a key non-verbal ingredient in establishing a successful, trusting relationship with patients. The concept, “Let your food be your medicine and medicine your food” has been the foundation of Naturopathic medicine. A growing body of scientific knowledge in this area is reflected in numerous professional journals of nutrition and dietary sciences, validating the Naturopathic approach to diet and nutrition. Many medical conditions can be treated as effectively with foods and nutritional supplements as they can by any other means, but with fewer complications and side effects. With specialized training in the form of internships and apprenticeships, ND’s may provide full obstetrical care for low-risk pregnancies. In order to be considered low risk, the patient must not have any major medical presentations such as hypertension, gestational diabetes, HIV, Hepatitis B, twin pregnancy, breech presentation, uncontrolled endocrine abnormalities, or any other medical condition that puts the mother or child at risk during labor and delivery. Home births with low-risk women have been shown to be as safe as hospital births in a study by the British Journal of Obstetrics and Gynecology July 2009. See article posted on our website. Naturopathic physicians are trained in the fundamentals of oriental medicine and diagnosis, and may use acupuncture, acupressure and oriental botanical medicine in their practices. 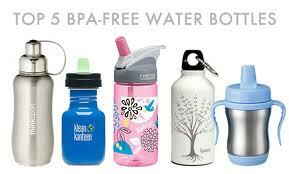 Children and adults are now being exposed to greater quantities of chemicals in the environment and food supply. These chemicals interact synergistically to increase their negative effects. Naturopathic detoxification and immune restoration therapies are an important aspect of the practice. The use of intravenous therapies to inject vitamin, mineral, and amino acids directly into the blood stream to bypass the gastrointestinal tract. This can be advantageous when an individual has impaired gastrointestinal function or when therapeutic doses require high quantities of a particular nutrient to be of benefit. Therapeutic injections include that of B12 shots that many find beneficial for restored energy and vitality. Mental attitudes and emotional states can be important elements in healing and disease. Naturopathic physicians are trained in various psychological techniques, including counseling, nutritional balancing, stress management, hypnotherapy, biofeedback and other methods. This natural health system, developed by Samuel Hahnemann in the 1840s, continues to evolve. Some conditions that conventional medicine has no treatment for respond well to homeopathy. 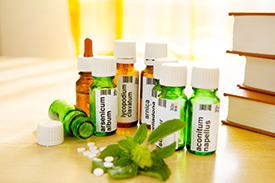 Homeopathic medicines are heavily diluted substances that are thought to cause effects similar to the symptoms presented. Due to this heavy dilution of medicinal substances that homeopathic preparations are thought to be very safe for most individuals including infants, children, and adults. This includes repair of superficial wounds, removal of foreign bodies, cysts and other superficial masses with local anesthesia as needed. The human body possesses the inherent ability to restore health. The physician’s role is to facilitate this process with the aid of natural, nontoxic therapies. The multiple factors in health and disease are considered while treating the whole person. Physicians provide flexible treatment programs to meet individual health care needs. At Southwest College of Naturopathic Medicine, graduates have completed a rigorous four year medical program with over 1500 clinical training hours. In order to attend SCNM, students are required to have a bachelor's degree and to have completed several pre-requisite courses prior to enrollment. During their training at Southwest, the students first two years consist of basic medical science courses and conventional diagnostic training. Once the student passes their basic science board exams regulated by NABNE (North American Board of Naturopathic Examiners) www.nabne.org, they are permitted to enter their clinical training which is composed of rotations at the SCNM medical center, private offices of physicians and additional didactic work. For a more detailed list of required coursework please visit www.scnm.edu/ for additional information.